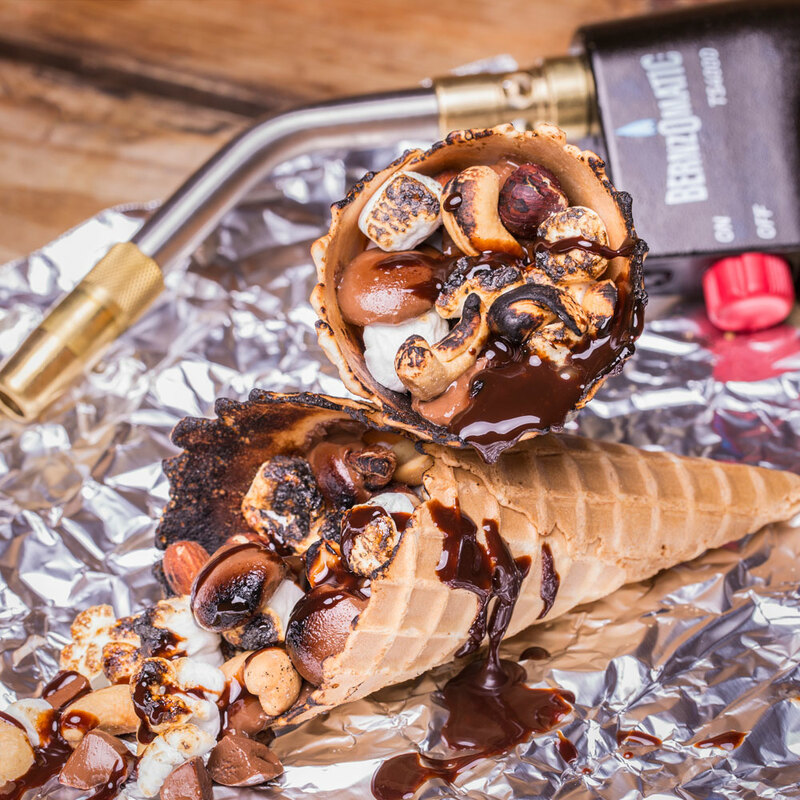 If you’re a fan of campfire S’MORES, and you’ve never heard of a Campfire Cone – you’re missing out. 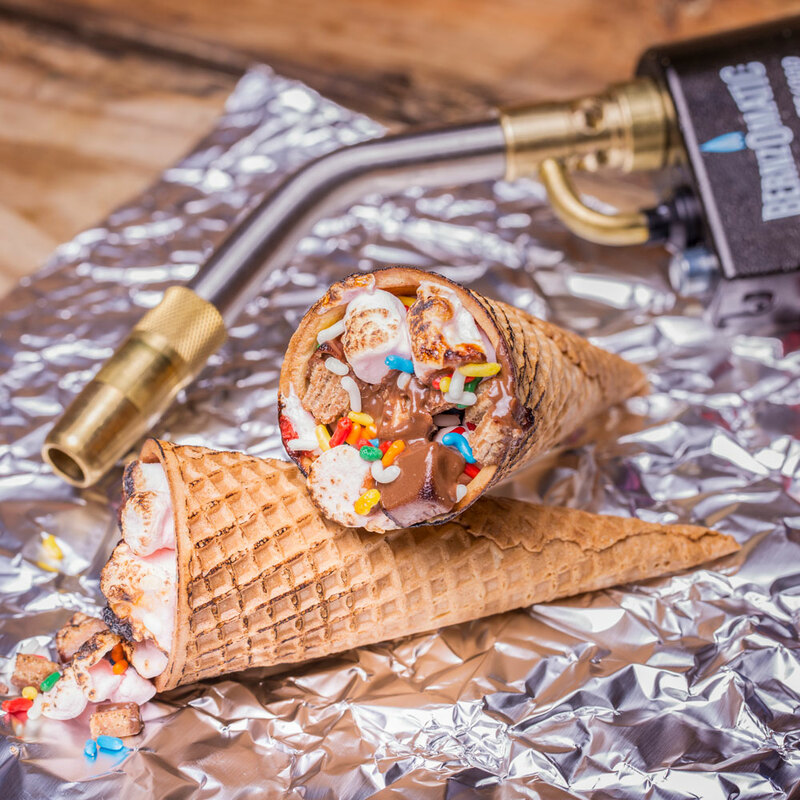 It’s all of the goodness of America’s favorite campfire treat, neatly packed into an ice cream cone. 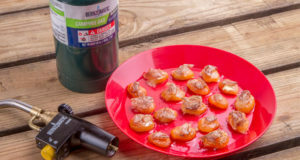 As you can see with the recipes below, the sky’s the limit with regards to ingredients and flavor combinations. 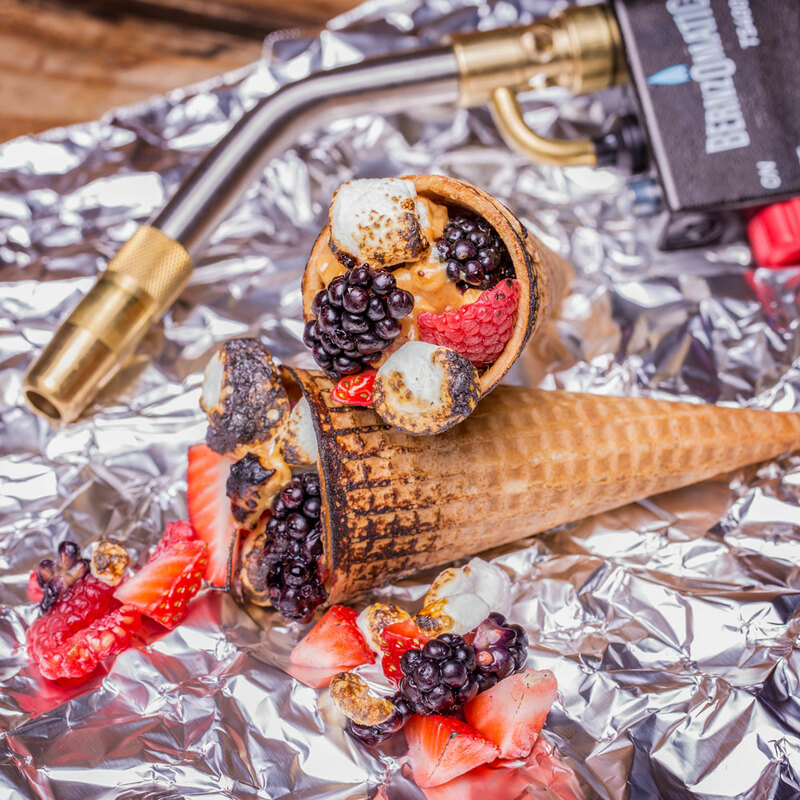 Campfire cones are incredibly versatile, and can be made directly on hot coals, on a grill – or in this case with a Bernzomatic torch. 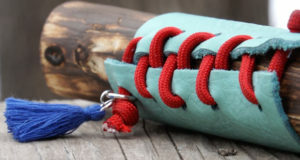 The torched version can be made year round, and make for a quick camping treat that kids and adults are sure to love! 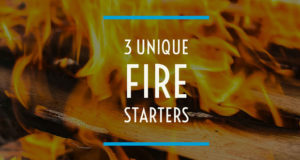 Before we move onto the recipes, let’s start with the basics – how to make a Torched Campfire Cone. 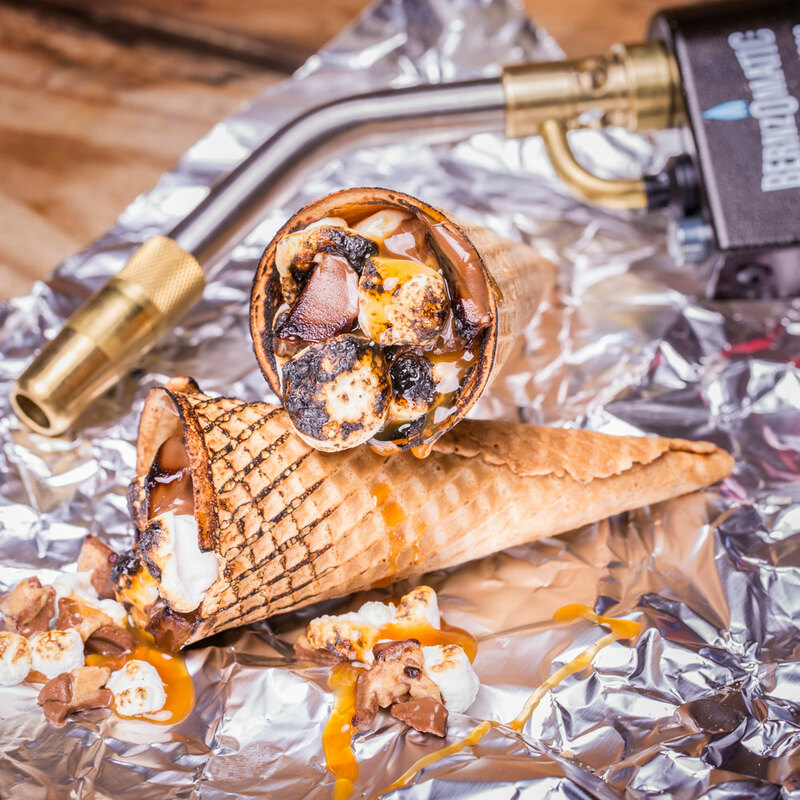 Like I mentioned earlier, the sky’s the limit when it comes to campfire cones. 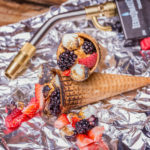 While some people might really enjoy a savory cone – I created all of my recipes to include marshmallows. I guess I’m just a traditionalist that way. 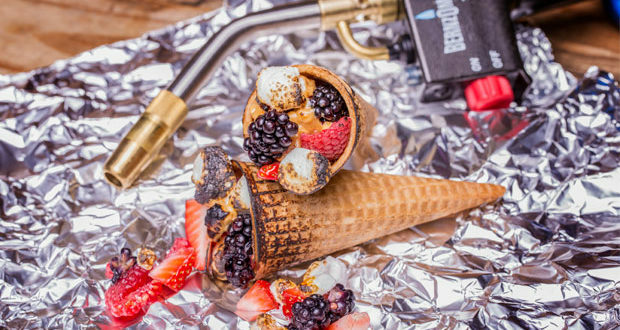 Once you’ve got your ingredients picked out, stuff them into an ice cream cone. I usually go with either a sugar cone – or a waffle cone, however a standard cone works great as well. When your cone is perfectly stuffed, wrap the whole thing up in a sheet of heavy duty aluminum foil. 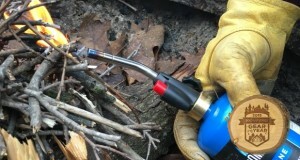 I like to use a Bernzomatic high heat torch. 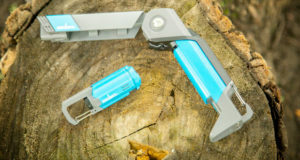 Their TS4000 or TS8000 work really well. 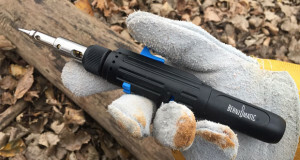 The TS8000 allows variable heat control – so you can output a large flame, but control the intensity of it. 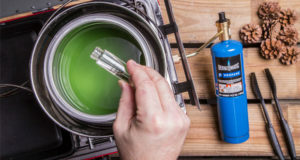 If you’re planning on torching your cone indoors, I highly suggest using the cooktop in your kitchen as your surface. 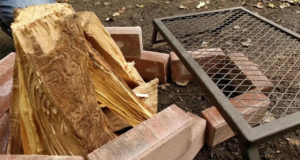 Put down a cookie sheet, and turn on your exhaust fan. 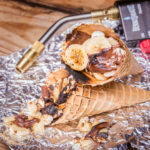 Although torched campfire cones are pretty easy to make – there’s a learning curve with regards to timing and heat control…and we all know that marshmallows are flammable! 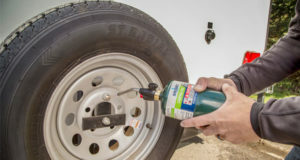 If you’re planning on torching up your campfire cones at the campsite – make sure that you’ve cleared your area from flammable materials. 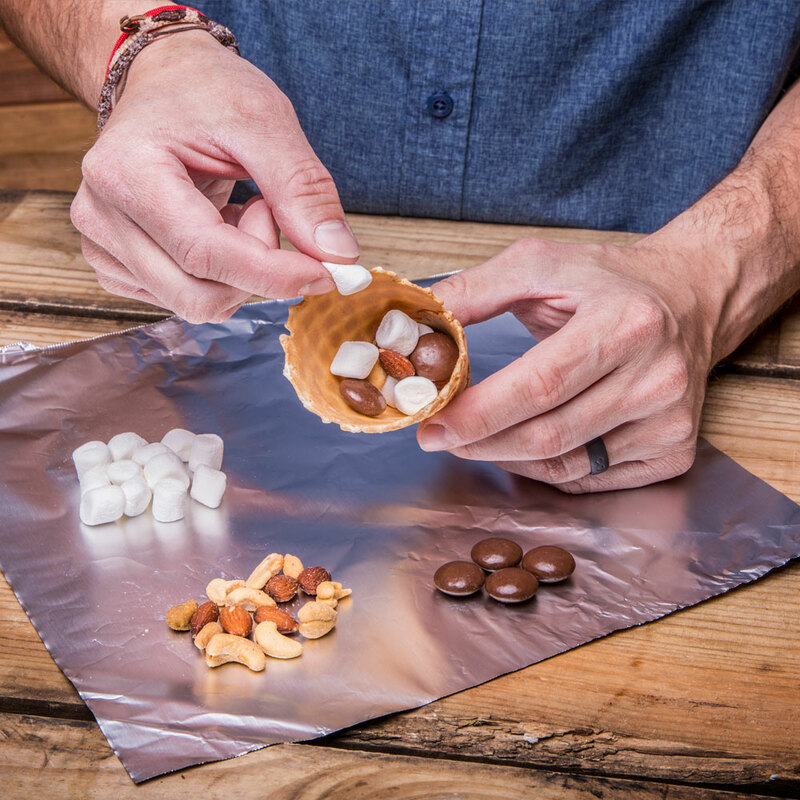 The foil (and the ingredients inside) are going to get hot! Like I mentioned, timing is everything, and it really depends on the ingredients that you’re using. 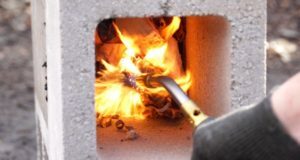 In an ideal scenario, the chocolate is melty – and the marshmallows perfectly toasted. 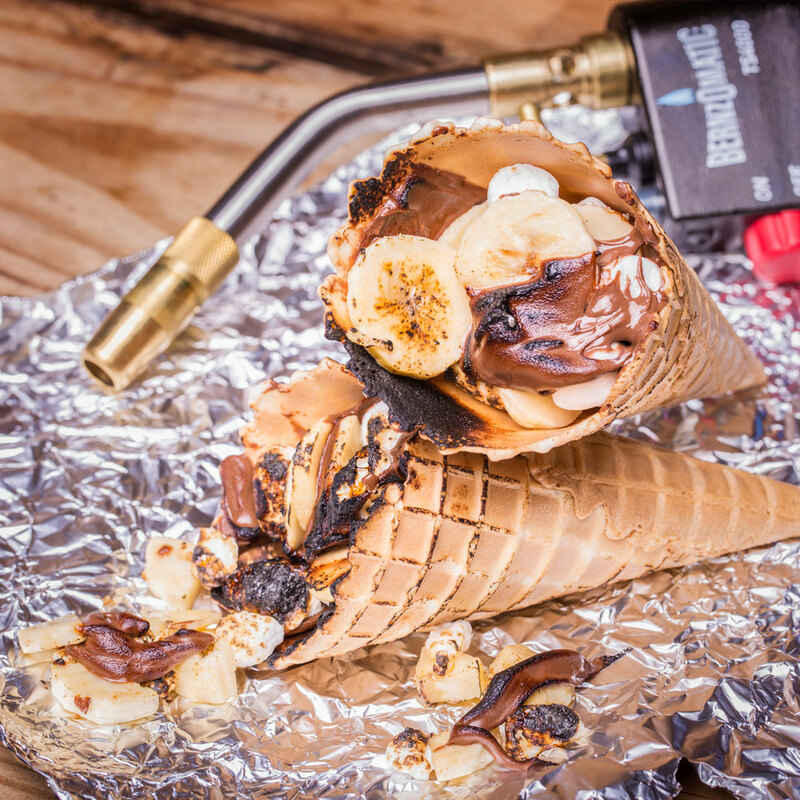 Once your perfect your torched campfire cone technique, you might be ruined from S’MORES. 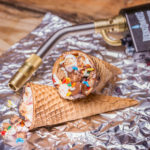 It’s personal taste, but it’s tough to beat your favorite sweets wrapped up nicely inside of a delicious ice cream cone. 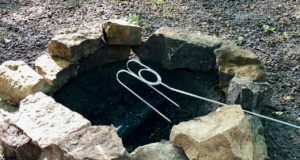 This is also a great campfire dessert to make with kids – as long as the adult handles the torching part! 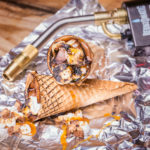 Without further ado…I hope you enjoy these 5 Gooey Torched Campfire Cones. 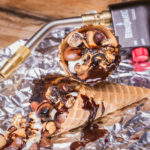 Fill the ice cream cone with ingredients. 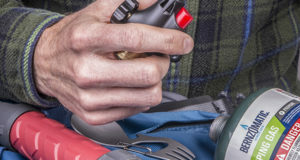 Wrap in heavy duty aluminum foil. Torch the outside of the foil with a Bernzomatic torch, heating and melting ingredients. 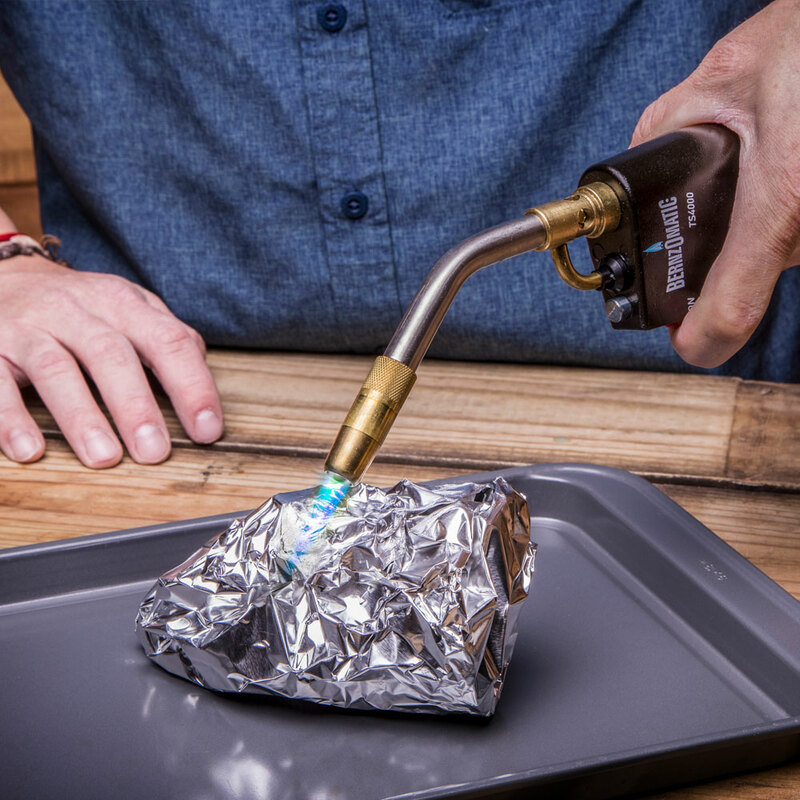 Torch the outside of the foil with a Bernzomatic torch.